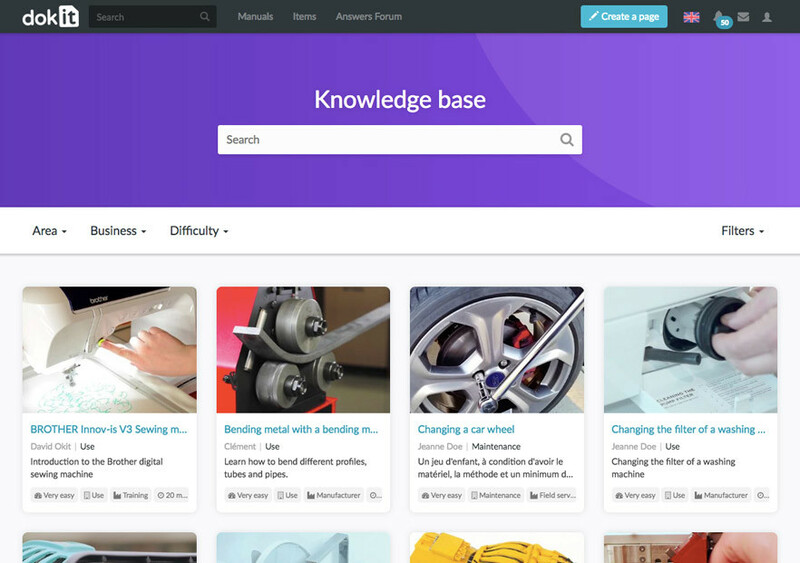 Dokit is your collaborative knowledge base. Collect the pages, tutorials and manuals written by your team or clients. 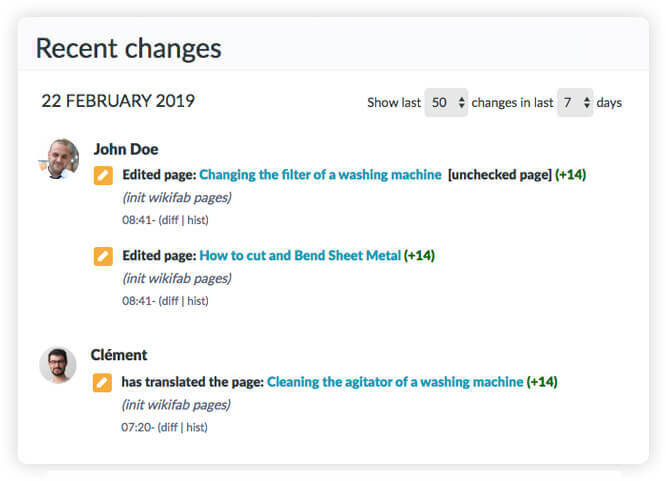 With Dokit, empower your collaborators and customers to perform tasks independently and accelerate knowledge sharing within your organization. To get started, create a page then add steps, images, instructional videos and descriptions. Reframe your images, re-organize your steps as often as you wish, all in a few clicks. To enrich your steps, insert help symbols to warn of a danger or inform a user. 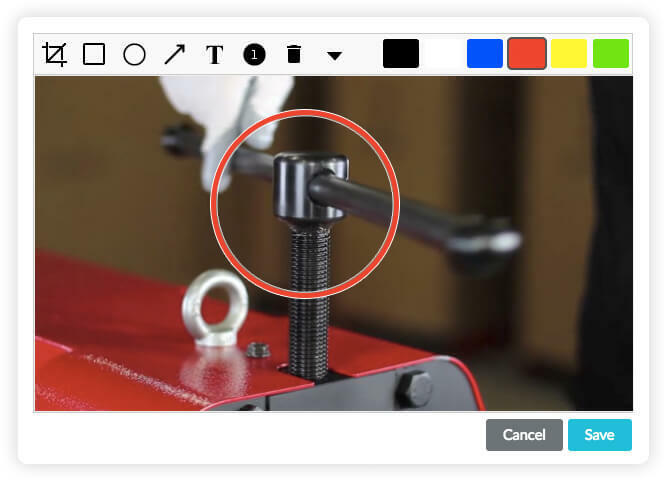 Annotate your images with the proposed shapes or insert your own annotations. Invite as many people as needed to participate in the creation of the guides and instruction manuals. Each change is logged and you can go back to a previous version at any time. Everyone simultaneously consults the most up-to-date version of a page. Users with proofreading rights can approve the content submitted for approval. Dokit is available everywhere. When a tutorial is completed, it’s accessible on all media, regardless of the size of your screen. On your computer when you’re at the office, on tablet or mobile for workshop users who need access to documentation on the spot. Dokit is even available offline. 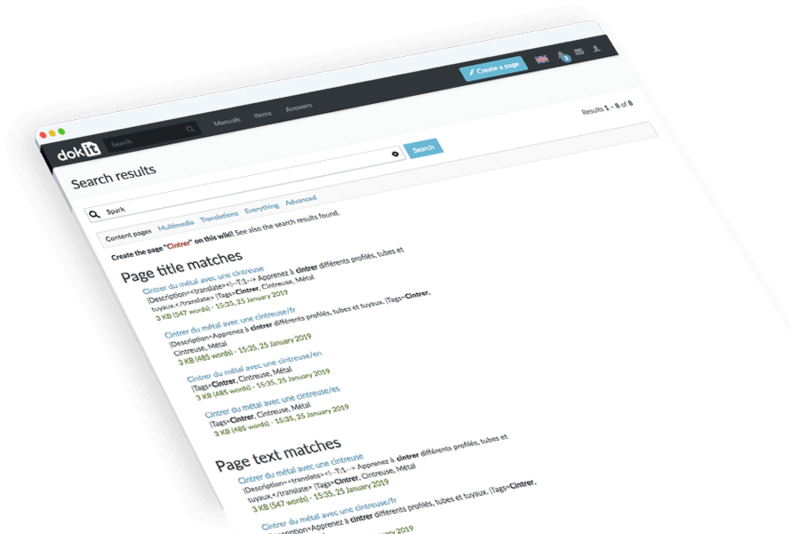 On Dokit, you’ll find the documentation you need through search, semantic filters and tags. Thanks to ElasticSearch, the most advanced search engine on the market, the search is incredibly fast and powerful. Add pages to your favorites to access them even easier. Start a discussion by asking questions about a manual, a tutorial or a step. Mention a user in a comment so that he or she receives a notification. 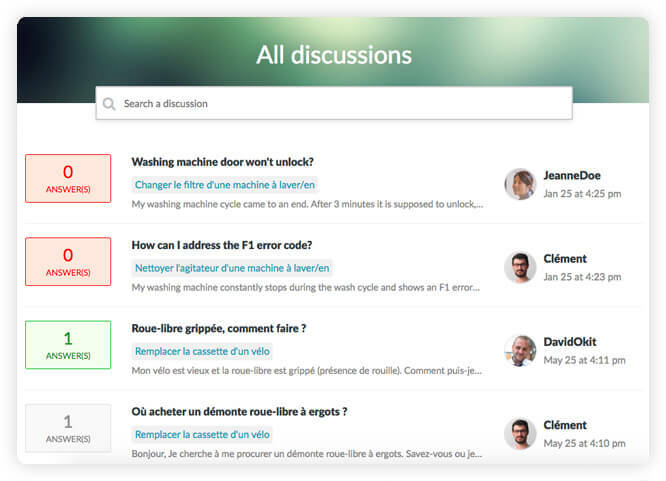 All discussions are accessible from the same page. Filters allow you to find the latest discussion, the most viewed, the most commented or the one that still remains answered. Thanks to Dokit's notification system, you’re instantly informed when an important event occurs. You receive the notifications in the application or by e-mail. You can track updates of a specific page or the activities of a particular user. Collect all your guides and pages in a Dokit manual. Add titles, customize the manual's graphic design and re-organize content on the go. Thanks to the PDF export, your users can download the latest version of your manual at any time. No more unreadable paper instructions. Share your manuals in a modern digital format. .
You can translate all your content into more than 100 languages. 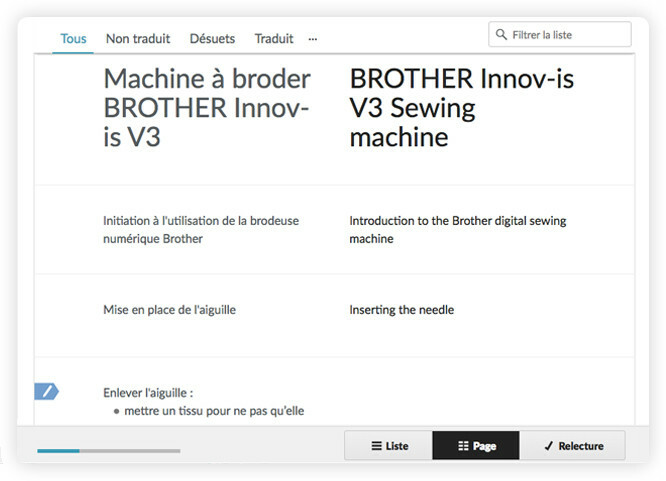 The translation feature transforms Dokit into a powerful translation tool for any type of page. It will allow you to create multilingual manuals in a few minutes, directly in the application. What’s more, Dokit automatically offers translation suggestions thanks to its integrated translation memory. How convenient! Do you manage complex documentation that needs to be proofread and validated? 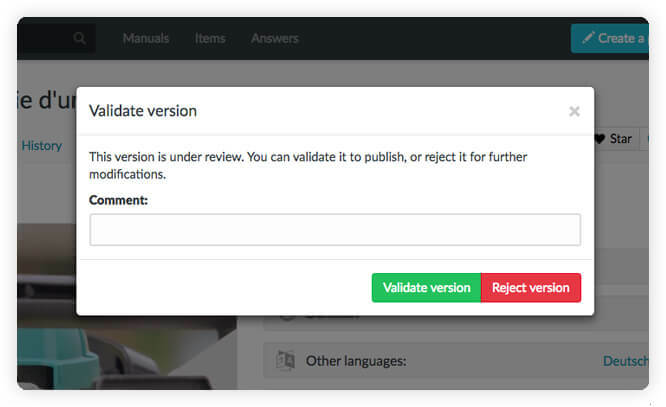 Use the validation workflow to ensure that each content is submitted for review before being shared with a great many. 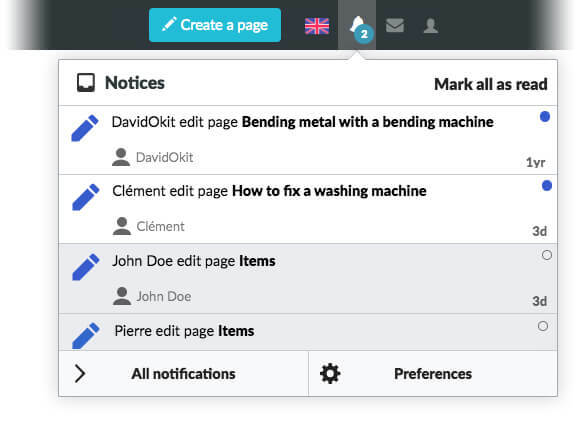 Whichever subscription you choose, you can create as many pages as you want in Dokit. 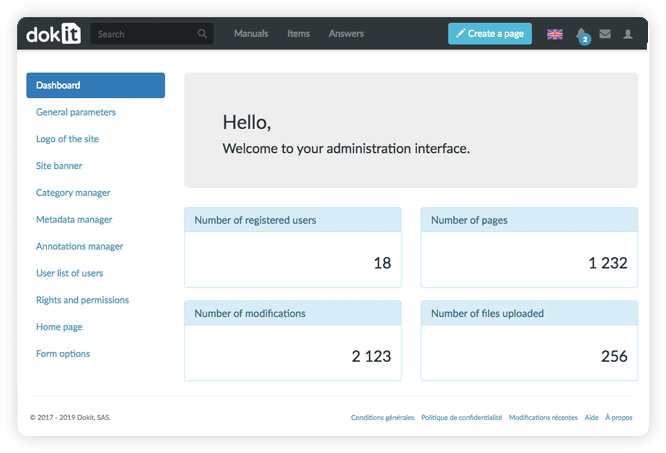 Administrators, feel free to manage all your platform settings directly from the Dokit Backoffice. Use the advanced customization options, manage your users and their associated rights, organize and reorganize the platform's content. You have absolute control over who can access your Dokit knowledge base. All data is sent via a secure SSL/HTTPS connection, the same encryption technology used by banks. Your data is hosted in secure Data Centers and backed up daily. Want to use Dokit in your own application, plug-in or extension? We provide your developers with an API to create any kind of application. 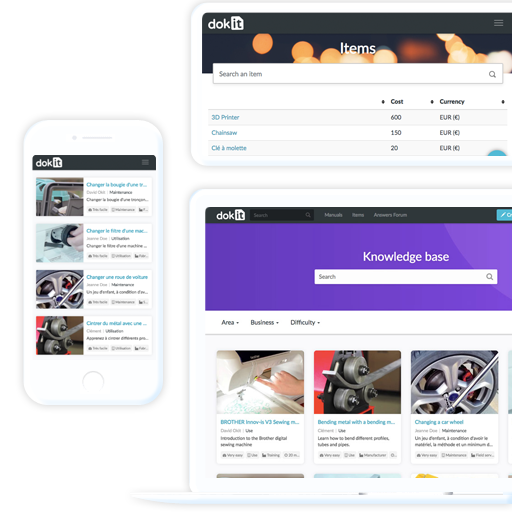 The Dokit API provides access to the tutorials, categories, users, manuals and all data on the platform, whether structured or unstructured. Dokit provides you with everything you need to create unique manuals and instructions. We are determined to keep Dokit as simple as possible. If you’d like to know more,please contact us directly. Give your team a shared workspace to create, organize, and share step-by-step instructions and user guides.